Three University of Central Florida professors are being recognized for their prolific spirit of innovation, which has benefitted economic development, quality of life and the well-being of society. The three have distinguished themselves for creating inventions in the areas of photonics and nanotechnology, which have everyday applications. For their work, the National Academy of Inventors named Michael Bass, Peter J. Delfyett and Sudipta Seal, NAI Fellows for 2013. Bass is an emeritus professor in the Center for Research and Education in Optics and Lasers (CREOL) electrical engineering and physics who specializes in lasers and the properties of optical materials. He specifically works on solid-state lasers and systems, which is a $1 billion industry with applications in everything from research to medicine. Bass joined UCF in 1987. One of his inventions was to use fiber optics to deliver laser light inside the body to treat a variety of problems such as bleeding ulcers. Other inventions have been connected with fighting cancer-causing cells and improving visual displays and communications via fiber optics. He holds 36 patents. Delfyett is a professor in CREOL and physics who specializes in ultrafast photonics. He holds the titles of trustee chair and Pegasus Professor, the highest honor a UCF faculty member can earn. 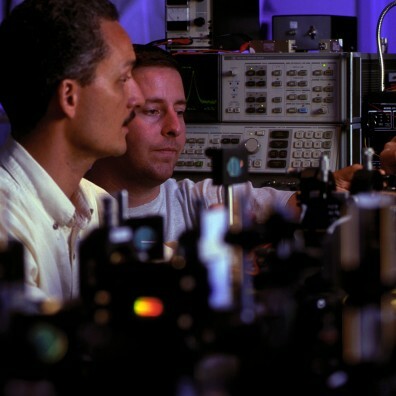 Delfyett has created various inventions and is working on the development of lasers that produce many colors simultaneously for applications in laser-based radar, optical communications, optical search engines and other processes. Delfyett has earned national recognition for his cutting-edge research and his leadership inspiring a new generation of scientists. He holds 36 patents. Seal is an engineering professor and director of the NanoScience Technology Center and the Advanced Materials Processing and Analysis Center. He is a distinguished professor and also a Pegasus Professor. His list of professional accomplishments includes finding ways to use nanotechnology to aid in the prevention of retinal degeneration and other conditions. Among his most recent work is a nano-engineered material that can remove large volumes of oil from seawater that doesn’t hurt the environment. He holds 38 patents. Election to NAI Fellow status is a high professional distinction accorded to academic inventors. The 143 innovators elected to NAI Fellow status this year represent 94 universities, governmental and nonprofit research institutes. Together, they hold more than 5,600 U.S. patents. Andy Faile, deputy U.S. commissioner for patents in the U.S. Patent and Trademark Office, will induct all honorees during the 3rd annual Conference of the National Academy of Inventors on Mar. 7 in Alexandria, Va. Fellows will be presented with a trophy and a rosette pin. The NAI Fellows will be recognized in a full-page advertisement in The Chronicle of Higher Education and in Technology and Innovation – Proceedings of the National Academy of Inventors. Academic inventors and innovators elected to the rank of NAI Fellow were nominated by their peers for outstanding contributions to innovation in areas such as patents and licensing, innovative discovery and technology, significant impact on society, and support and enhancement of innovation. The NAI Fellows selection committee is comprised of 13 members including NAI charter fellows, recipients of U.S. National Medals, National Inventors Hall of Fame inductees, members of the National Academies and senior officials from the U.S. Patent and Trademark Office, the American Association for the Advancement of Science, the Association of University Technology Managers, and the National Inventors Hall of Fame. Previous UCF winners include: vice president for Research and Commercialization MJ Solieau, optics professor Leonid Glebov, and Pegasus Professor of optics Shin-Tson Wu.